This will be the last year of our herd bull Unanimous's offspring. If your looking for guaranteed calving ease he was it. First year he bred heifers the calves averaged 69 lb. 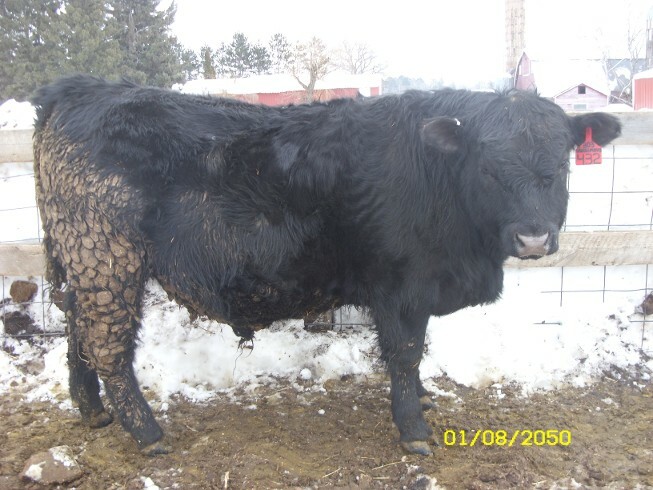 Used him on cows the second year and their average birth weight was 74 lbs. A guy came all the way from Michigan just to buy him as a 3 year old. Beautiful, stylish calves. Weaned off at 746 lbs. @ 208 days. Dam has 3 calves with average 205 day wt. of 753 lbs.